In the span of a week, the open playoff spots went from three to one, with Seattle and Portland clinching. Utah is currently in fourth but will drop out before Saturday is over, Houston is hanging on but needs help from others, Orlando is flailing but could get right back in with a win, and Chicago hasn’t lost in five games but hasn’t won in three. Seattle, Orlando, and Houston also host their regular season home finales. 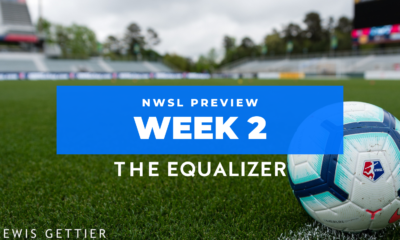 It’s time for another full Saturday slate of games before the next international break as we round out NWSL Week 22.
Who has the better defense? “Defense wins championships” may be on its way out the door in modern soccer, where clean sheets are often traded for a stronger attacking presence, but at the same time, it’s no coincidence that the league’s two best defenses occupy the top of the table. Statistically speaking, Seattle has a narrow edge overall, with one less goal against and one more clean sheet. However, North Carolina has allowed far fewer shots, which is a good indication that team defense is doing its job long before it gets near the box or keeper. Speaking of, both keepers ought to be in the discussion for Goalkeeper of the Year, with Lydia Williams bringing more experience to the table than Katelyn Rowland. 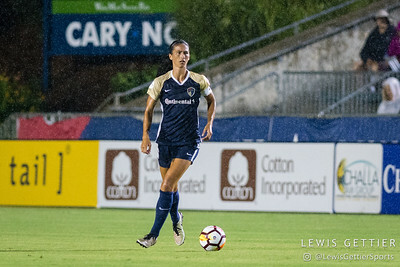 Abby Erceg has to be in the mix for Defender of the Year, and with Jaelene Hinkle added to the injury list someone will have to check Theresa Nielsen on the Reign’s right. Tactically speaking, this matchup could be fascinating, with coaches like Vlatko Andonovski and Paul Riley at the helm. Both meetings thus far this season ended in North Carolina’s favor, with the last a 4-1 pounding in Seattle that saw the Reign take an early lead only to lose it by halftime. Andonovski is more likely to tweak things tactically, whereas Riley is more of an “if it ain’t broke, don’t fix it” kind of coach, and certainly nothing about the Courage is broken. Andonovski is also the one missing preferred starters in Allie Long and Bev Yanez. Are draws Chicago’s ticket to the playoffs? Chicago Red Stars defender Katie Naughton (5) and NC Courage forward Lynn Williams (9) during a match between the NC Courage and the Chicago Red Stars in Cary, NC in Week 15 of the 2018 NWSL season. Photo by Lewis Gettier. The Red Stars are currently on a three-game tie streak with a total of 10 draws for the season thus far. Any result with Orlando, including a draw, would see them regain fourth place. At the end of the year, Chicago’s ability to tie a game (nearly 47 percent of their games this season at the time of writing) is either going to be viewed as dropped points that cost them a spot, or the grit to grind out a result that got them there. They’re evenly split at the moment – four comebacks, four leads lost, and two nil-nils (both with Seattle). A tipping point might be more scoring from someone other than Sam Kerr. The Aussie has scored the Red Stars last seven goals, meaning that no one else from Chicago has scored since July 4. 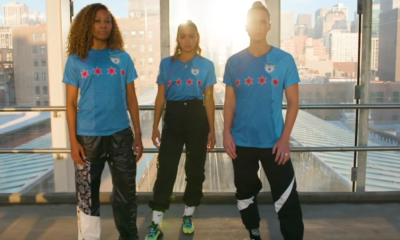 That’s great for Kerr and certainly has been enough to get Chicago this far, but as they ought to have learned with Christen Press in the past, overreliance on one striker can only get them so far. Will Washington step up on Audi Field? 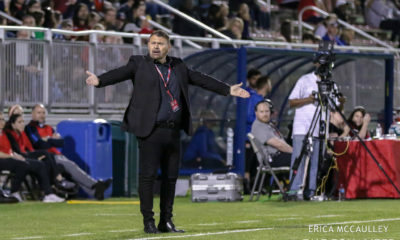 It’s not a big stretch to say that their much-hyped match at Audi Field probably played a role in the timing of Jim Gabarra’s firing. It was an inevitability given how poorly the season was going and how things seemed to get worse with each passing match. Obviously Wednesday’s match didn’t give interim coach Tom Torres any time to make changes, and once again the Spirit lost without scoring in a mostly uninspiring match (without a great performance from Didi Haracic in goal and some questionable finishing from the Royals, the score probably would have been worse), although their body language looked a bit better. What changes can they make to at least put on a good show in their potential new home, even if they don’t win? Taylor Smith looked pretty good going forward, and it seems clear to me that her time at outside back was more the result of Paul Riley managing to get the best out of his players than a real aptitude for the spot. That does leave the question of who could fill in at fullback – one option would be put to push Estelle Johnson wide again and play Rebecca Quinn and Whitney Church at centerback. 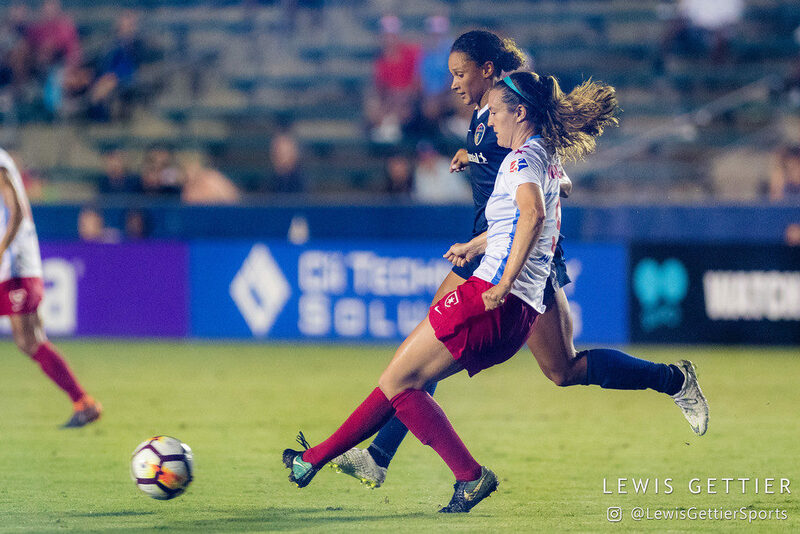 Hopefully Torres also spent the brief interlude working on the partnership between Mallory Pugh and Ashley Hatch, as it appeared to have potential early in the season before Pugh’s injury, and those two should be building blocks going forward. Will Houston finish strong at home? The Dash are wrapping up what is in several ways their best season yet, even if they’re not likely to finish at their highest standing ever. They have the unfortunate honor of ending their season at North Carolina, but before that, they host Sky Blue in Houston’s home finale. 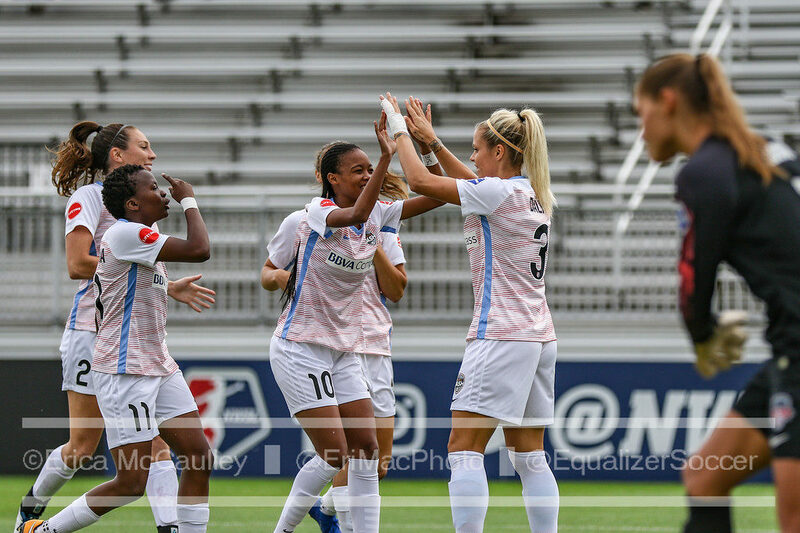 To go out with a bang, as well as bag the series against Sky Blue, they need to work on two things: earning a clean sheet and controlling the match. Obviously, one lends itself well to the other. 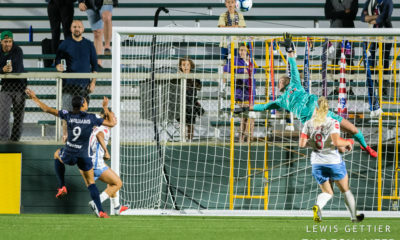 In both matches against Sky Blue this year, they took the lead only to allow the Jersey girls to tie it up before finding a late game-winner. Jane Campbell has had a mixed bag of a season but has been rounding into better form as of late and was rewarded with a call up to the U-23s for the upcoming Nordic Cup. It helped as she started to get a consistent defense in front of her, only for Clare Polkinghorne to get pulled due to injury. Campbell is an excellent shot stopper but needs to work on her organization, especially on set pieces. Further up the pitch, the Dash need to get the ball to the feet of Ohai more often. She’s incredibly dangerous on the dribble, and the defenders she pulls with her open space for Rachel Daly’s runs into the box and Sofia Huerta’s follow-ups. The Dash have done decently well with sitting deep and waiting for their opportunity on the counter. The next evolution of their game has to be taking the impetus on the attack. Christine Sinclair: After a quiet spell, she’s scored in two successive games. 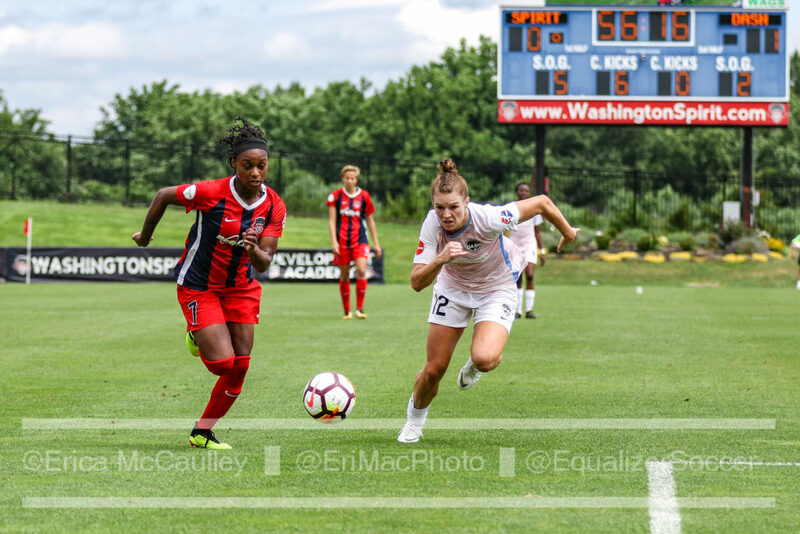 Estelle Johnson’s slide tackles: It’s what she’s known for, and for good reason, as she demonstrated several times on Wednesday. Marta: She’s been dispossessed with unusual frequency lately, although perhaps our standards need to be adjusted.